Congrats Magic! You deserve all the cards you get and much, much more. Why would people do such things? Very deserved to say the least. the title of this thread had me going in a waayyy different direction. I was immediately thinking Jennifer Connelly, Salma Hayek....and me. Glad it made it safely Magic. I've had it for a long while, since buying that lot of 6 Colla prototypes; had a day off and I finally got it in the mail. 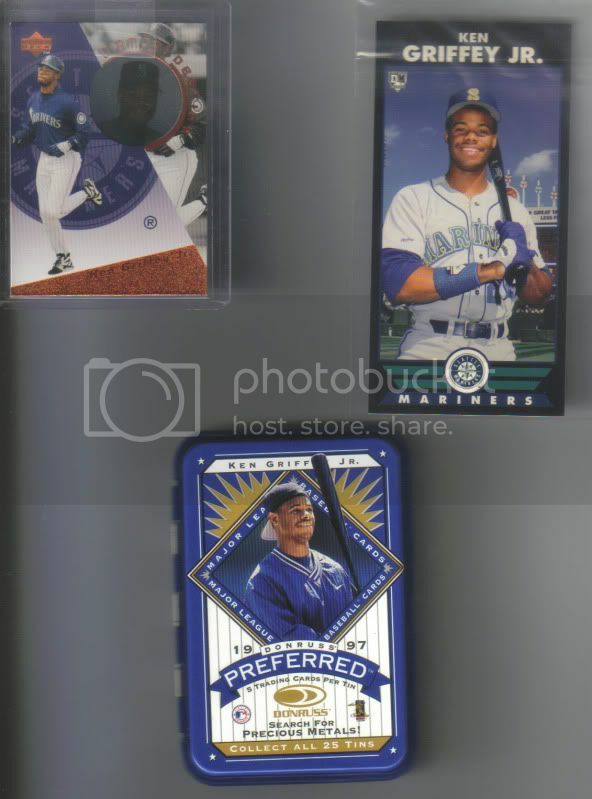 Awesome Griffey mail! You deserve it!